Ideal if you would prefer not to have an airer or washing line permanently cluttering up your garden, the Beldray retractable clothes line with pegs allows you to hang your washing when you need to. Suitable for outdoor use, the washing line has a length of 20 metres and can simply attach to a hook in the wall so that you can hang your washing with ease. 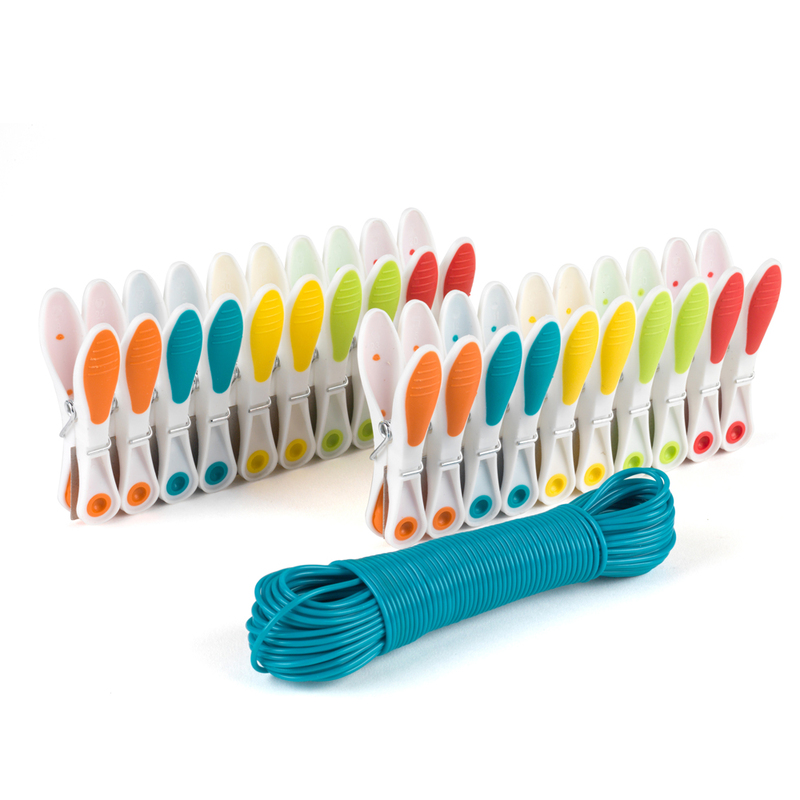 The brightly coloured pegs are impossible to misplace and feature soft grip pads to prevent leaving any marks on your fabrics as they dry. Save money on tumble drying and air your clothes outside in the breeze with ease using this Beldray traditional-style clothes line. Measuring 20 metres, the clothes line has plenty of space for a full load of laundry so you can dry everything on a warm day. Wonderfully durable, the strong washing line will securely hold even heavy items of clothing and will endure any windy weather. It comes with 20 pegs so you can securely attach your clothes to the line and be confident that they will not end up on the floor. The metal springs are extra durable as well as exceptionally flexible, meaning you can peg up your washing in half the time.